What does it mean to advance humanism in healthcare? According to Arnold P. Gold Foundation advancing humanism in healthcare is characterized as, “a respectful and compassionate relationship between physicians, members of the healthcare team and their patients.” A recent article published January 26, 2019 in Modern Healthcare talks about the importance of having all members of the healthcare team constantly educated regarding how to utilize patient-communication-best-practices to ensure the best outcomes. This title says it all, “Physician empathy a key driver of patient satisfaction”. 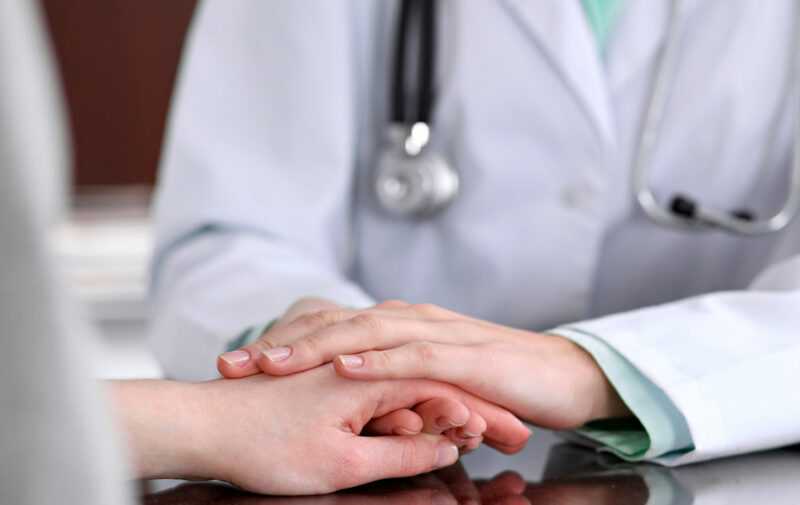 This article was published by Science Daily® and points out that sixty-five percent of patient satisfaction was attributed to physician empathy. Additional Gold Foundation studies have also recognized the impact empathy has on improving health outcomes and its significance in patient care. Empathy is defined as, “the ability to understand and share the feelings of another.” It is the capacity to put one’s self in another’s shoes and feel what that person is going through and share their emotions and feelings. It is the recognition and validation of a patient’s fear, anxiety, pain, and worry. It is the ability to understand patients’ feelings and facilitate a more accurate diagnoses and more caring treatment. Expressing patient empathy indeed advances humanism in healthcare – as a matter of fact — expressing empathy in healthcare is THE KEY INGREDIENT to enhancing the patient experience and patient encounter. Both empathy and compassion in healthcare play vital roles in the patient experience and are key components of the physician-patient relationship. When a patient arrives to see their healthcare provider, the patient’s medical condition — whether it is a severe illness or injury, a chronic condition, or simply a routine check-up – will often manifest emotions such as anxiety, fear, and apprehension. Patients want to know they are receiving the very best care, and that is conveyed when their care team is empathetic and compassionate. Empathy extends far beyond a patient’s medical history, signs, and symptoms. It is more than a clinical diagnosis and treatment. Empathy encompasses a connection and an understanding that includes the mind, body, and soul. Expressing empathy is highly effective and powerful, which builds patient trust, calms anxiety, and improves health outcomes. Research has shown empathy and compassion to be associated with better adherence to medications, decreased malpractice cases, fewer mistakes, and increased patient satisfaction. Expressing empathy, one patient at a time, advances humanism in healthcare.